There are certain tools that are so flexible and easy to use that their potential use cases are infinite. 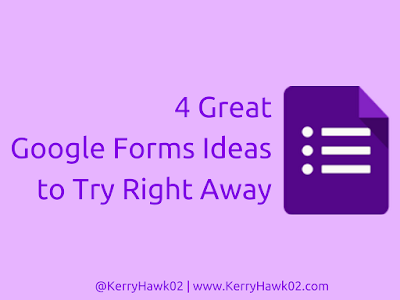 Google Forms has recently added some new features that make it one of the go-to tools I recommend to even the most tech-tentative educators. Previously, educators needed to use add-ons to make their Forms self-correcting, and the question-types and design options left much to be desired. But the new Forms have been leveraged by the teachers I work with in such creative and productive ways this school year. They are worth recording in this post so that more students and educators can benefit. Our middle school physical education teachers sometimes use videos from Ninh Ly's Rules of Sports YouTube playlist to teach their students the rules of a sport before they head outside to play it. The downside is that playing the videos during class time takes away from precious active time on the field or court. With class periods that are only 45 minutes long, they need to make every minute count. One of the teachers now makes quick 5-8 question Forms and then posts both the link to the video and the link to the Form on his class website. Students take about 5-10 minutes to watch the videos and complete the Forms at home. Before they even see their students the next day, teachers know which students have watched the videos, whether they understand the rules, and which elements might need a quick review. Even better, students instantly know how they've done on the Form because the teachers use the Quizzes feature (accessible by clicking the the gear on the upper right when building a Form) to ensure that the Form tells students their results right away so they know what to expect the next day in class. Now everyone has much more time for active play during the school day. The teachers in one of our academic departments are striving to deliver a more consistent experience across their classes so that more of our students master their content at the appropriate level before moving up in subsequent school years. Although tests and quizzes can check for academic mastery, they do not help measure whether teachers are using consistent methods or workload and how well students are handling the curriculum and assignments. One way to measure consistency is through student feedback on homework, teacher helpfulness, assessment fairness, and more. After a brief training on Forms, a group of 5 teachers developed a 30 question Form that all of their students took to provide them with important feedback. Questions asked which resources and tools are most helpful, how students manage homework, whether curriculum pacing was reasonable, and if grading policies were clear. They used the results to create an action plan for the second half of the school year and are planning to survey the students again to see if the adjustments they made are helping their students. One of our English teachers wanted to bring the reading gender gap to her students' attention. They read Why boys don't read and then were charged with finding out whether the information in the article was an accurate reflection of themselves. (We work at an all-boys school.) Of course, they were also charged with developing their own actionable solutions that could help encourage them and their peers to read more. In order to determine whether their own reading habits fit within the concerns expressed in the article, they worked together to develop a Form. They decided to ask about how they find books to read, how often they read for pleasure, and whether they identify themselves as "readers." The results indicated that they did, in fact, represent the boys the article was about. It allowed them to become more invested in their projects over the long haul. Today many of those students are living out their projects by working with school librarians and administrators to create new initiatives that will increase reading for pleasure among our student population. This idea actually came from a recent conference presentation. At ASCD's Empower conference, I co-presented a session on promoting young education leaders. My co-presenters and I knew that our audience would include both administrators looking to promote leadership and young educators looking to become leaders, but knowing the makeup of our audience would help us tailor the session to their goals. Similarly, teachers often launch into a lesson without knowing for sure whether the classroom full of students has existing opinions/perspectives on the topic. We created a one question Form for participants to answer, identifying their role at their school or district. Then, while they answered, we projected the responses tab of the Form on the big screen. The pie chart that Forms auto-generates for multiple choice questions live updated the results. We all watched together as we discovered that the room was fill with 56 participants from varying roles. This same tactic could be quickly and easily applied to the start of any new lesson or project in any classroom. 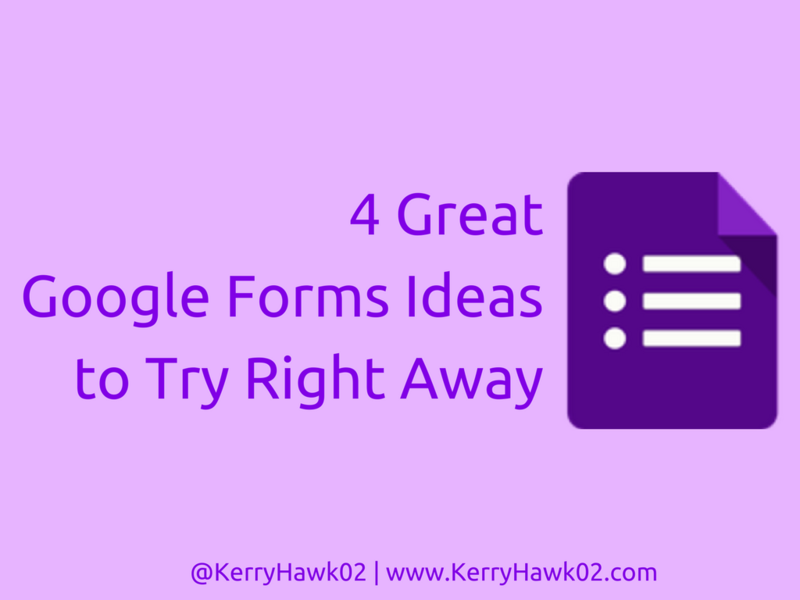 How are you stretching and using Forms with your students and colleagues? The possibilities are literally endless. Share your favorite tips and links to your own blog posts below! As we near the end of the school year, teachers are working harder than ever to keep their students engaged and to maximize every single day they have left with them in the classroom. Teachers are the superheroes of education and there is nothing more important in a teacher’s day than the face-to-face connections they make with their students. According to renowned education researchers Robert and Jana Marzano, “Teacher-student relationships provide an essential foundation for effective classroom management—and classroom management is a key to high student achievement.” To ensure that limited face to face time in the classroom can be as meaningful is possible, teachers are using digital tools to bring learning and sharing beyond the classroom. 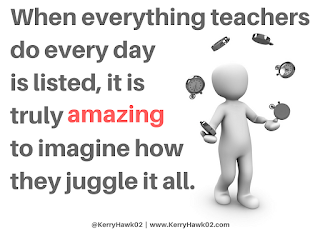 And, when everything teachers do every day is listed, it is truly amazing to imagine how they juggle it all. 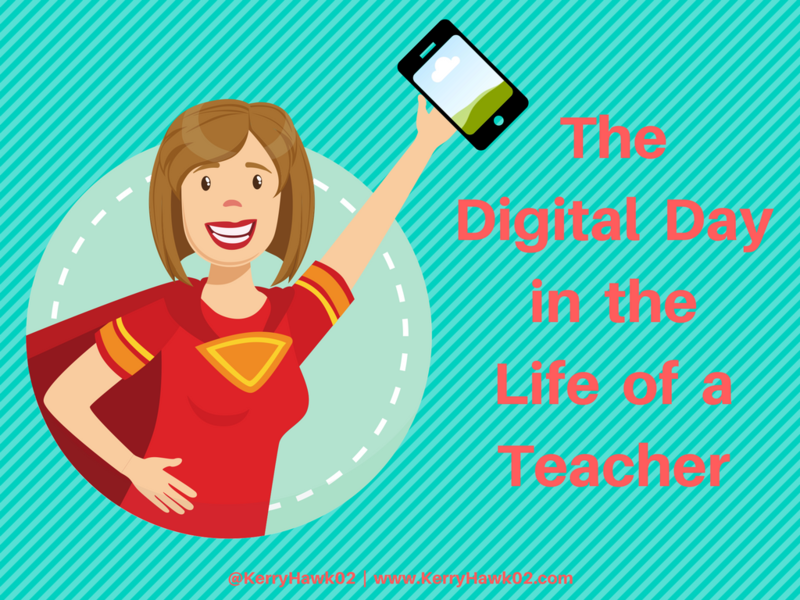 So, what does a typical digital day look like for a teacher who is doing this well? Check and respond to messages from students, parents, and colleagues. Share any learning data about students with parents who have requested it and answer any student questions that were sent last night. Be sure that all resources and activities are curated and posted online so students can access them as needed during the school day. If students had homework, review the online results of student assignments completed last night. Were students messaging back and forth about anything in particular? Do their scores/results indicate that there are aspects of the content many of them are struggling with? These topics might deserve a second look during class today. Greet students at the door and have bell-ringer/activator instructions projected in the classroom. Be sure the digital tools and resources students need are easy to access and are free from pop-ups or other distractions so learners are ready to engage appropriately with technology as soon as they enter the classroom. During class discussions and small group activities, provide students with an online message board where they can post their questions or ideas. While extroverts have no problem speaking up out loud, introverts will appreciate the opportunity to share their ideas this way. Spend some of class time chatting one-on-one with students who need interventions that day. This can be necessary due to academic or social-emotional needs. Be sure the rest of the students are engaged in meaningful learning endeavors throughout these chats. Close class time by reviewing the questions and ideas posted on the digital message board and pointing out where students can find their homework, if they have any, that night. Check in with colleagues both in person and online to share resources and ask for feedback on upcoming lessons and projects. Use social media to connect with the professional learning network. This allows teachers to create collegial relationships and get additional feedback from professionals beyond their school or state. Examine student work and learning data created during class time and use it to refine lesson plans for tomorrow and the rest of the week. Conduct research to find high quality OERs like online readings, videos, simulations, and activities. Curate those online resources so they are easy to find and share later with students, colleagues, and parents. Meet with students and parents who have requested conferences to help them reach their academic and social-emotional goals. Share any resources and data that can help everyone craft a plan in the best interest of the student. Providing online secure access to this information is usually most efficient. If it isn’t a student or parent conference day, teachers likely have department, faculty, or committee meetings to attend and participate in. This means reviewing resources and preparing and sharing a working agenda for the meeting so that precious time can be productive. Most teachers also advise clubs or coach teams. It is important to communicate with students involved in those extracurriculars via some digital means to keep everyone informed about scheduling meeting/practice/competition times. Later in the evenings, teachers often finish up reviewing student data, fine tuning lesson plans, and answering any student or parent messages that have come through during the afternoon and evening hours. 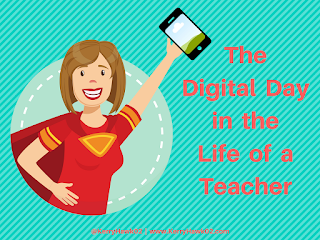 Some teachers are seemingly superheroes and are able to juggle all of these tasks daily so those precious face-to-face minutes are as impactful as possible, but many struggle because finding the right combination of online communication tools, activities, and resources is a challenge. Schools must be sure to provide the right learning management system, such as itslearning, so that everything teachers, students, and parents need is available through one intuitive platform. 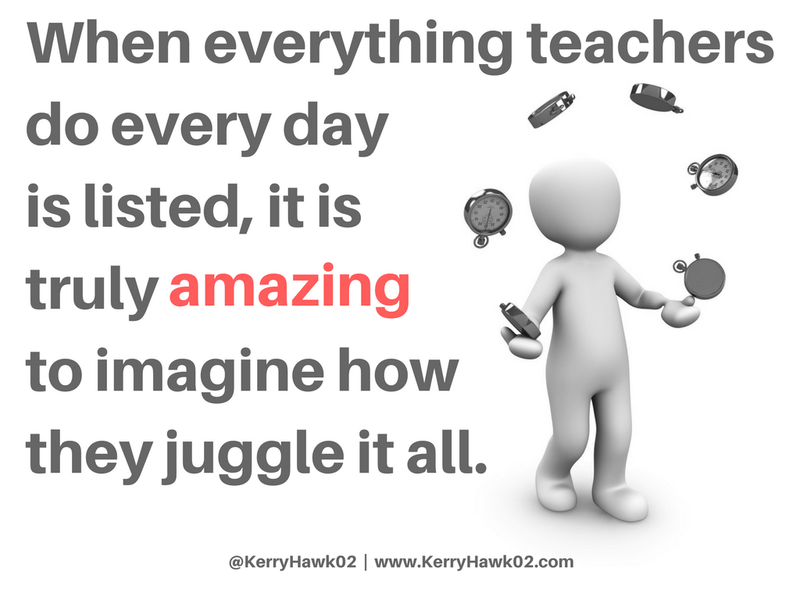 Then every teacher can feel like a superhero of the classroom. All of this digital communication, preparation, and engagement makes it possible for precious in-class and extracurricular face-to-face time to be dedicated to building those relationships that are the “essential foundation” for classroom management and student achievement. Note: This is a sponsored post. 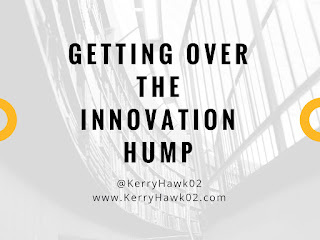 While there was compensation for this post, no product will ever be highlighted on this blog unless the author believes in its value to educators. Many schools are now 5 or more years into their BYOD or 1-to-1 programs and progress has stalled a bit. Early adopters, both students and teachers, continue innovate as they explore increasingly creative uses of the device. The majority have come on board and are relying on a smaller set of device functions, and are willing to continue learning and improving use. A smaller set are still critical of the program and are not integrating beneficial functions of the device in their classrooms. According to the Diffusion of Innovation Theory, which I've referenced before, this is normal. 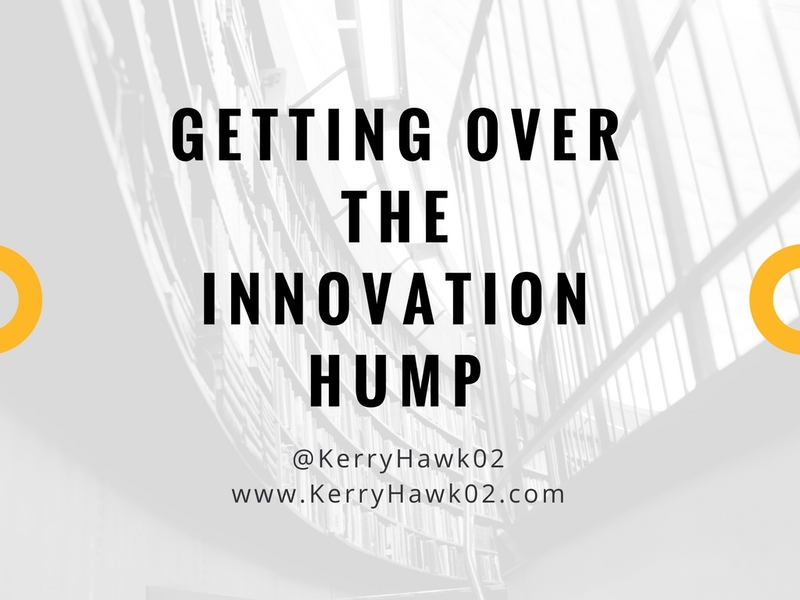 But it can still be concerning if the gap between the early adopters and the critics continues to grow and student experiences are vastly different from classroom to classroom. It is healthy for any social system, such as a school community, to have critics who question and push everyone to clarify their thinking and improve their practices. But critics that refuse to budge can have a negative impact on both school culture and student learning. It can lead to a situation of "haves" and "have nots" in which a student's category depends solely on the teacher she has. Start by setting up both acceptable and encouraged use guidelines for existing devices and new tools as they are rolled out. Every stakeholder – teachers, students, parents, coaches, counselors, and administrators – should help create the norms and should clearly understand how the device can help the school reach toward its goals of educating and empowering every child. 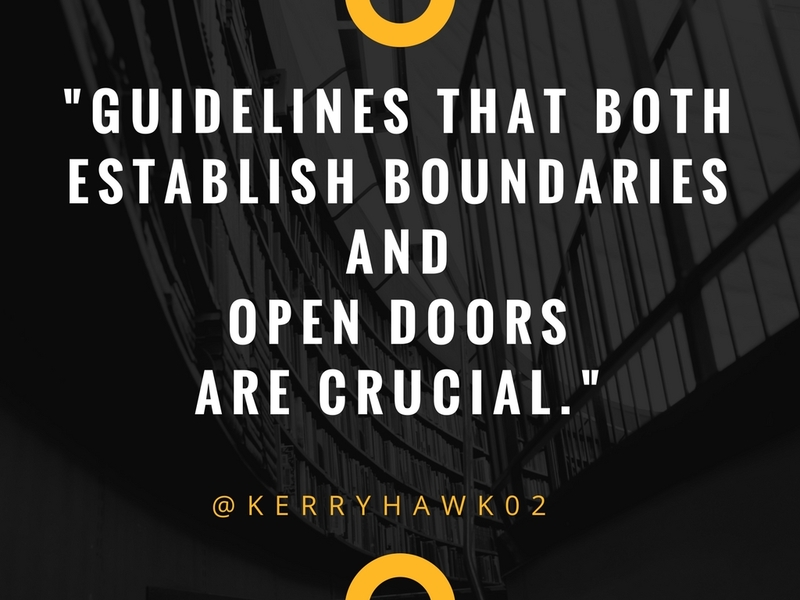 Guidelines that both establish boundaries and open doors are crucial. 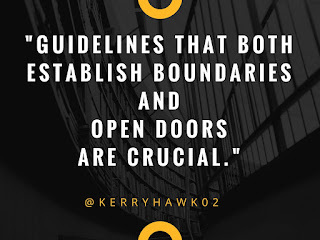 For instance, it is important for everyone in the community to be aware of the boundaries for safe social media use but also to know that social media can help forge connections with outside experts and resources to enhance the educational experience. School guidelines that clarify these norms are essential because they provide a solid foundation on which to build success. Hacks, Tips, and Tricks: In a recent informal panel at school, a middle school science teacher shared that he color codes the backgrounds of his digital handouts. A quick visual scan around the room and he instantly knows who is looking at the document with the green background and who might be off task. A room full of educators gasped at the genius but simple tip. Best Practices: A few months ago an entire department met to talk about digital note-taking versus pencil-and-paper note-taking. Based on research and professional experience, the group of teachers agreed on best practices for when handwriting would enhance learning and when digital notes would best serve student needs. All guidelines, hacks, and best practices need regular revision. Incorporate reflection and revision activities into professional learning time. The educators in the room when that middle school teacher shared his color-coding hack are already scheduled to meet again in a month to share whether they've tried it and how successful it's been. Similarly, that department met again about a month after their note-taking conversation. The problem wasn't completely solved, but everyone in the group had taken at least a few small steps forward and was ready to have another solution-focused meeting of the minds. All stakeholders, from the early adopters to the critics, should regularly engage in structured forward-looking conversations. Only then will the entire institution continue to meet the needs of an ever-changing student population who arrive at school with ever-more-complex devices in their hands. There is no quick fix or secret key to sustainable progress. These three recommendations should be implemented in concert and will result in a cultural shift. It will take longer than a month or a semester. If a negative dialogue is deeply ingrained in the school, it might even take longer than a single school year. The investment will be worth the effort to develop a positive school-wide culture and movement toward what is best for students.